A quick read for smart, savvy women who feel torn between the realities of their lives and the dreams they ache to create. 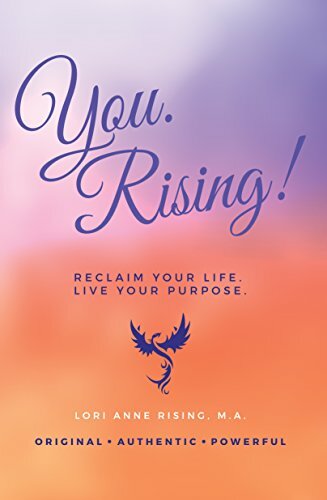 This little book brings a year’s worth of certified life coaching support and guidance into the palm of your hand. Filled with simple and inspiring stories, ideas and journaling prompts this life-map is broken down into a deceptively effective, fun, and transformative experience. Readers get to explore what truly motivates them and how to shift their life from chaotic to clear, depressing to joyful, and from empty to meaningful. As an added bonus, this book also includes a book group discussion guide so that readers can experience this journey with support and friendship. So, invite a few friends over, get some chocolate, and curl up with your new best friend: You. Rising! You. Rising! : Reclaim Your Life. Live Your Purpose.